Locksmiths R Us goal is for their locksmiths to attend 80% of calls received to Leeds addresses within 30 minutes and certainly a locksmith to be with you no later than 60 minutes. 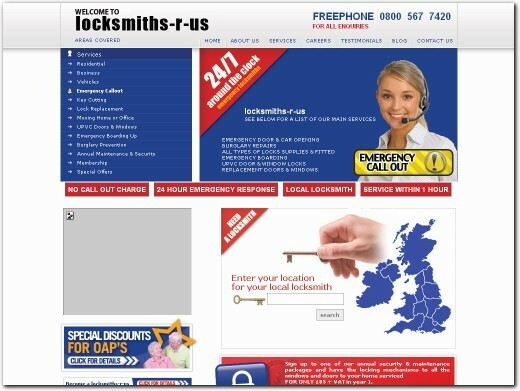 UK (Dunstable) based locksmith. Website features full range of services they provide, a very interesting and funny / irreverant blog, testimonials, and full contact details under "contact".